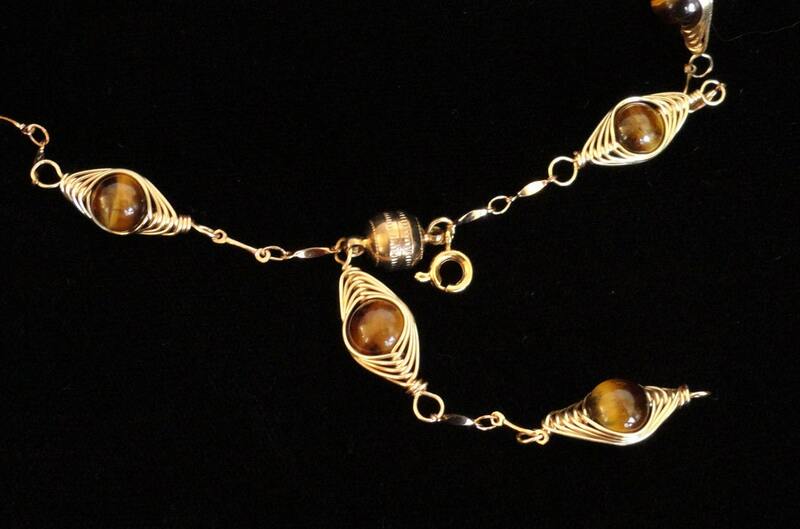 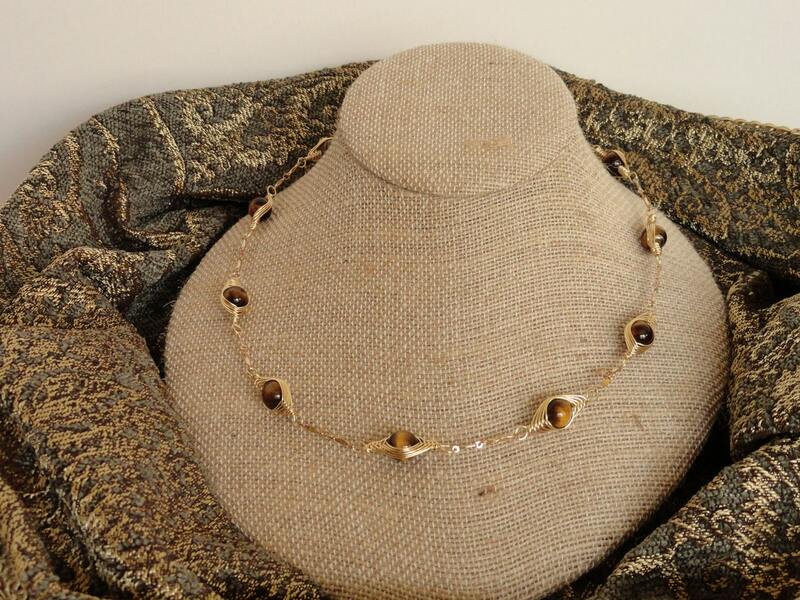 This dainty necklace catches the eye with tiger eye gemstones wrapped in gold colored wire using a herringbone wrap technique. 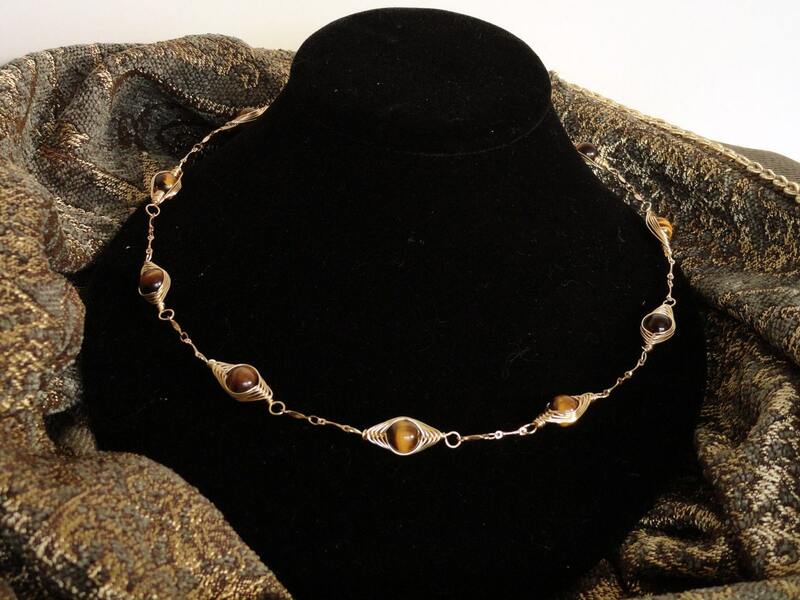 A total of ten 8mm tiger eye gemstones are separated by a small chain; a magnetic clasp also includes a second lobster clasp with an extension for a versatile length. 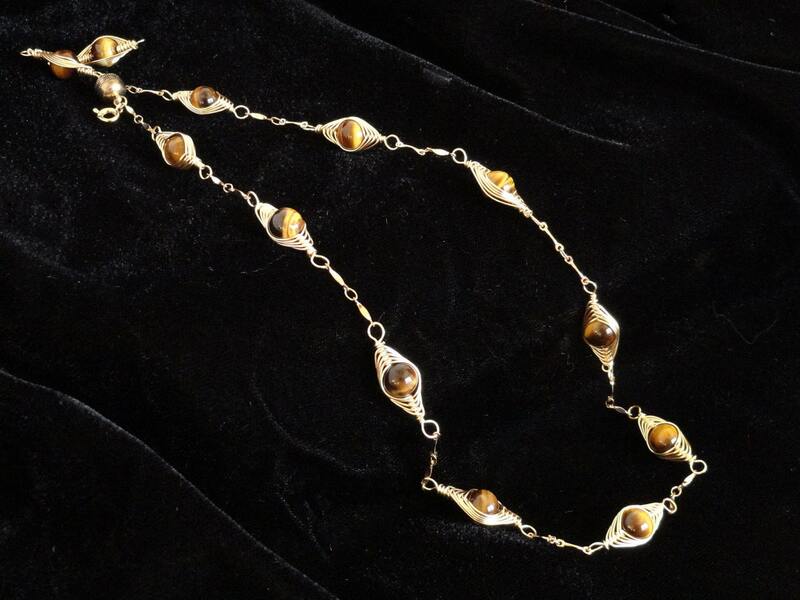 Length: Approximately 17" - 19"